HK's Symphony of Light is performed every night at 8 p.m. Depending on the day of the week, the voice-over is in English, Putonghua or Cantonese. The spectacular show is performed with music, light shows, lasers, and firework. The latest data on international tourist arrivals to the various destinations in the world collected by the World Tourism Organization showed significant changes in the table of the world's top tourism destinations in 2004. As a result of the strong rebound experienced last year, Asian destinations significantly strengthened their position in the ranking. Although the order of the three main world tourism destinations remained unchanged with France as unchallenged leader, major developments in 2004 included China taking over Italy's traditional position as the world's fourth most visited destination, and the entry of Hong Kong (China) among the top 10 tourism destinations. 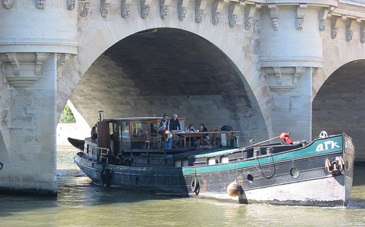 France maintains its leading position as the world's most visited destination with 75.1 million tourist arrivals in 2004, or almost the same level of 2003 (+ 0.1 percent). Spain, where tourist arrivals grew by 3.4 percent, ranks second with 53.6 million arrivals. It is followed by the USA, with 46.1 million arrivals, showing a significant recovery from the poor results of the past three years (+12 percent as compared to 2003). The most notable change in the ranking by international tourist arrivals was China's move from 5th to the number 4 position, trading places with Italy. In 2004, China fully recovered from the setbacks caused by the SARS outbreak and posted a spectacular 27 percent increase, achieving an all-time record of almost 42 million tourist arrivals, while tourist arrivals to Italy declined by more than 6 perent to a total of 37.1 million. The United Kingdom maintained the 6th position with almost 28 million arrivals in 2004 (+12 precent). 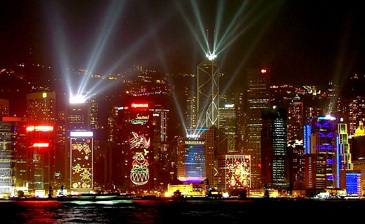 Hong Kong (China) made a spectacular entrance into the top 10 taking over the 7th position after a 40 percent jump in arrivals in 2004 to almost 22 million. Mexico (20.6 million) and Germany (20.1 million) kept the same positions as last year, while Austria (19.4 million) fell back to the 10th position. In 2004, the top 10 tourism destinations accounted jointly for more than 363 million international tourist arrivals or almost half of the 760 million arrivals reported worldwide. Although the order of the ranking has been fairly constant over the past decade, not all destinations have grown at the same pace. 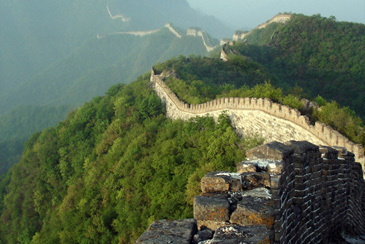 The two Asian destinations in the list, China and Hong Kong (China), clearly outperformed the other destinations, each growing at a pace of close to 9 percent a year between 1995 and 2004. 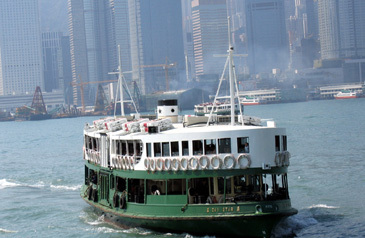 The small distinctive green and white ferries of the Star Ferry Service are transportation means on sea which have linked the Central District on Hong Kong Island with Tsim Sha Tsui (Kowloon peninsula district) for over 100 years. Among the more mature tourism destinations, Spain is showing the most consistent performance with an average growth rate of almost 5 percent a year. In the same period France and Italy grew on average by 2.5 and 2.0 percent a year respectively. The two American destinations recorded the lowest growth rates, respectively 0.6 percent a year for the USA and 0.2 percent for Mexico. A list of the most visited destinations by region will be included in the forthcoming issue of the WTO World Tourism Barometer to be published in June 2005. This edition will furthermore include a first analysis of international tourism receipts for 2004 including a table of the world's top earners.